We hear a lot about remedies and healing foods, but not so much about the ancient arthritis tincture or how arthritis was treated in ancient times. My mind boggles when I think about how people with rheumatoid arthritis must of suffered all those years ago. Did they get RA as bad as we do? Did they suffer at all, or did they have remedies and treatments we are simply unaware of? Here we examine an ancient Tibetan arthritis tincture, and find out if garlic is good for more than making curries and keeping vampires away. Garlic is well know for it’s medicinal qualities and has been used in medicine for millennia, but did you realise garlic is effectively used to treat a whole host of ailments. Amazingly we now know the mechanisms for most of these beneficial actions and these claims are now backed by tons of research. That’s why I constantly keep garlic in my diet. Many of garlic’s benefits come from it’s antibiotic, anti inflammatory, and immune system modulating actions. Together these actions reduce bacterial and viral load, improve the immune system, and allow you to return to a state where the immune system can get back on top. 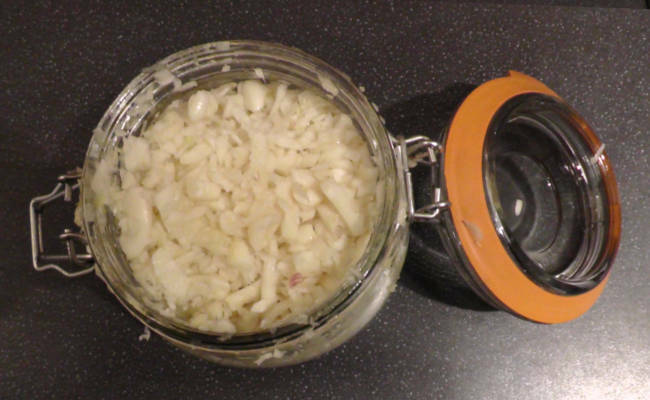 Often I have gazed upon the garlic bulb in the kitchen cupboard and thought….I’m gonna tincture you! Last week I finally plucked up the courage to attack the stinky bulb, and now find myself in possession of a powerful natural medicine! Why didn’t I make the arthritis tincture before? Not the smell of the garlic itself, or even the taste, but the way it makes your body smell. 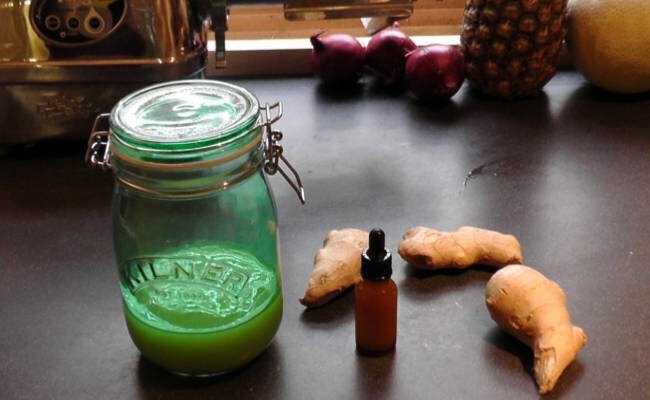 After some research I found this garlic arthritis tincture doesn’t create that “all over body” smell like eating garlic bulbs does, so I set about making this recipe. One mason jar, or similar hermetically sealed jar big enough to take the mixture. 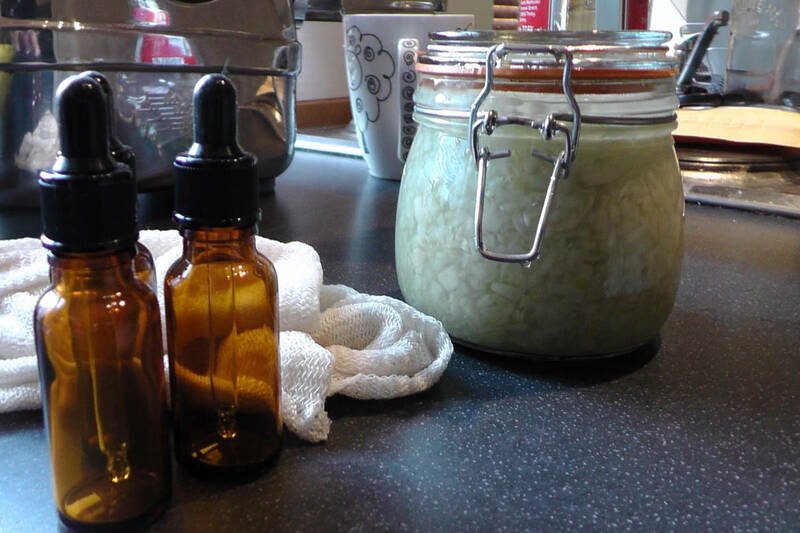 For this recipe I used ten full bulbs of garlic to get 350 g of clean tincture ready garlic. The dry unpeeled weight was over 450 g.
Peeling this stuff took me a good two hours and made a right old stink so you might want to do this outdoors or with a pair of gloves on. The final weight is important but a little more or less won’t diminish the final strength of the tincture too much. Remember though, this is a recipe! Not following it properly is kinda defeats the point. My feeling is that I like to give any remedy the best chance of working so removing any doubt about whether I made the stuff right in the first place is crucial to its success. We should prepare the tincture with care. It would be a shame to have doubts about the tinctures efficacy later on because we didn’t take care making it. We don’t want to have any doubts about our healing efforts. Once I have my garlic I weigh it, making sure I have a couple of spare bulbs just in case. 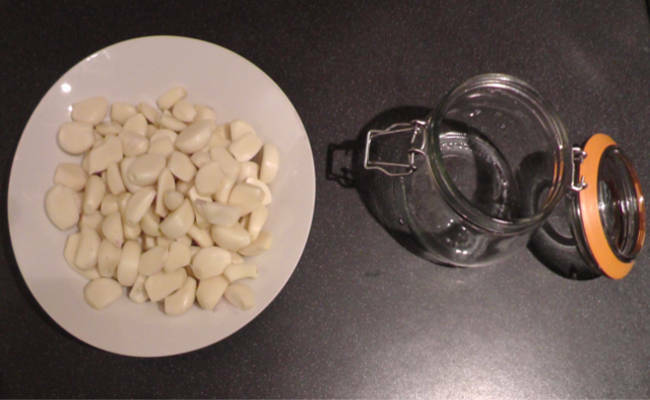 I’m after the full strength tincture, so I peel my garlic first and weigh second. You will be able to roughly tell how much garlic you’re going to get from the unpeeled bulbs before you start, Usually to within a bulb or two, but it can vary. 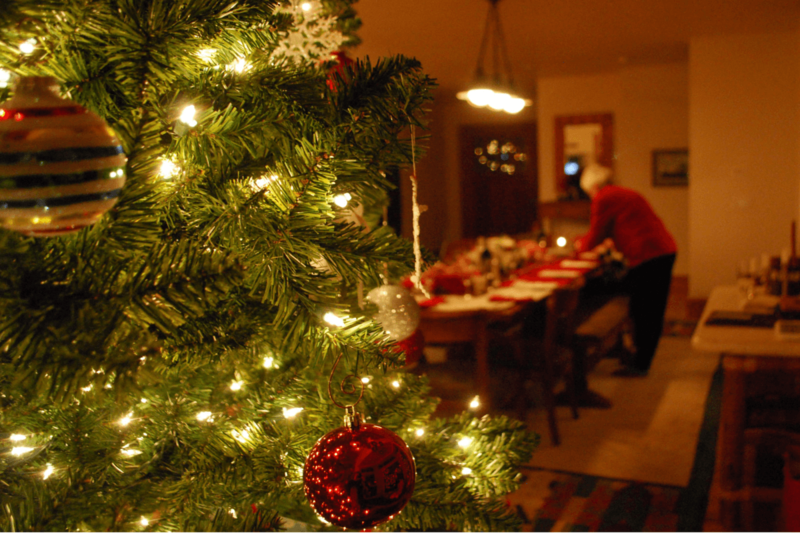 This is why it’s best to start out with a couple of extra bulbs. The bulbs will need to be scraped and cleaned before tincturing. Take this into account when buying your garlic and buy a nice clean loose skinned garlic variety. The stem and middle bit will be going in the bin along with the flaky outer layers. Once we have the garlic bulbs separated into the individual sections give them a light rub to remove any excess skin. we can then begin chopping the ends off. Nipping the root tip off the bottom of the bud and the very top off the bud tip allows us to open the skin with a knife and shell the bulb easily, I find that doing this at the beginning saves time, but it’s just my way of doing it. The flaky waste can get everywhere, so I do this first and then have a clean up to keep things tidy before I begin chopping. 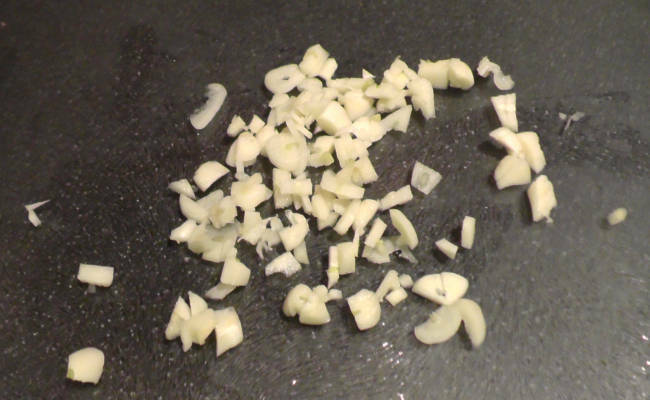 Chop the garlic into fine pieces around 3-5 mm square. 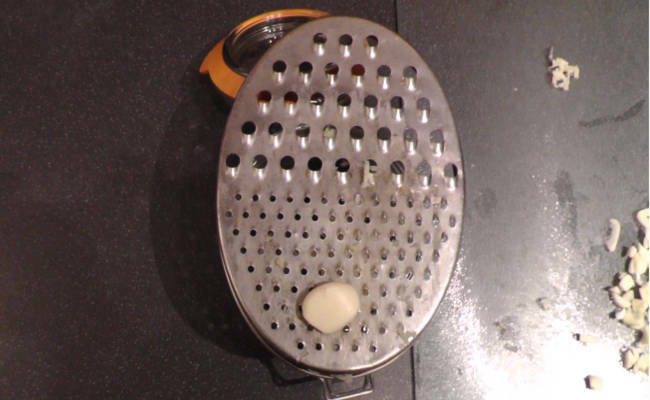 This is quite time consuming and fiddly, but you can cheat if you like by grating the garlic with a cheese grater. I did. Try not to squash the garlic too much, we don’t want to get the healing juices all over the place. We want nice even pieces, so using a garlic crusher is out, we don’t want a watery paste. Grating and chopping garlic is messy and stinky and gets everywhere so make sure you have all of your surfaces and so on covered and beware of using wooden chopping boards. You will also likely want to wear a pair of rubber gloves unless you want to smell like super Mario. Some people like the garlic pieces to be a little chunkier, but I think chopping the garlic small ensures the speedy break down of the bulb and releases all the nourishing medicine. Releasing the good stuff quickly is best because were pulling this garlic based arthritis tincture after 10 days. In theory you also help yourself to an early dose if you’re in a hurry to finish the tincture or if you’re having a bad day and need a hit of something. You can dip right in there and take a hit before the arthritis tincture is finished, but I don’t recommend it. We all know what those days feel like, and sometimes you just gotta do something to make it all stop. Just don’t be greedy, and make sure anything you put in the glass is super clean. I like to use a little pipette dropper for the task, but I never put it in my mouth or solution and then dip it back into the mix. This could cause contamination and affect the length of time the tincture will keep for. The rule should always be….. Don’t mess with the master tincture! 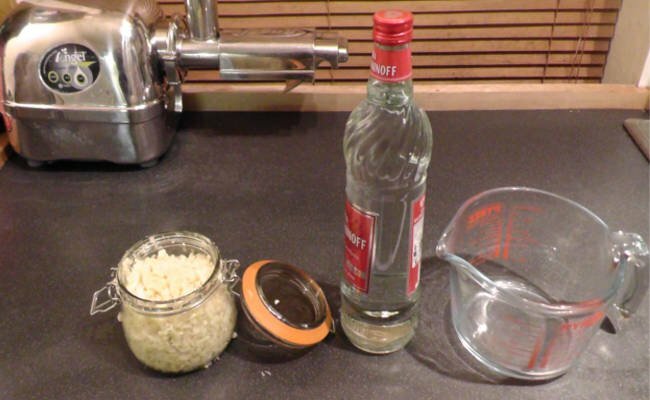 Add the alcohol and close the lid, making sure it’s well sealed. Then give it a good shake for about 20 seconds. Ancient recipes always seem a bit hit and miss, and I was dubious about this one. The liquid ratio looked way too low? To my great surprise the liquid covered the garlic almost perfectly, but I did add just a shade more alcohol to make sure everything was fully covered. Everything should be covered with alcohol and if it isn’t you can press down on the garlic or add a shade more alcohol. This mason jar was a little too small for my arthritis tincture and I would advise using a half litre/1 pint size jar that allows the mixture to combine properly when shaking. Put your brand new disease fighting master tincture in a cool dark place and wait for the results. 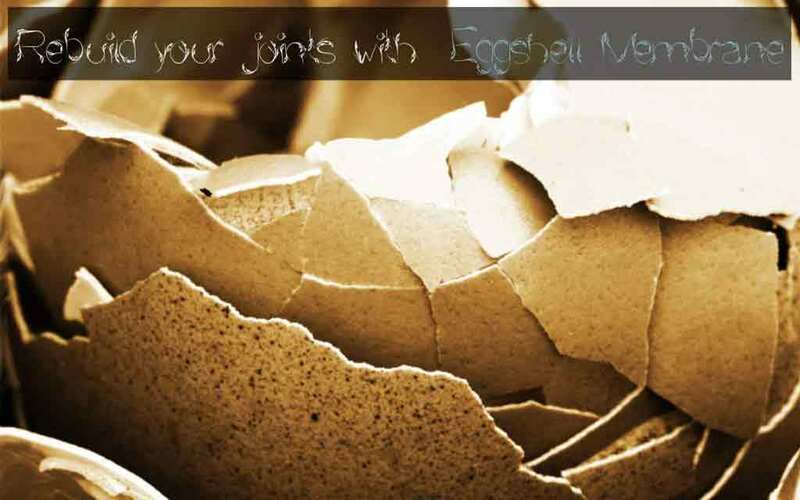 You will need to go back to the arthritis tincture and shake it every single day until it matures. Make sure all the alcohol mixes in with the liquid and you’re good to go. This process takes seconds, but I usually take about 20 seconds. Seeing the changes in the liquid levels and the daily progress is quite exciting. The alcohol will separate from the plant matter and rise to the top of the container, don’t worry it’s meant to be that way. Shaking allows the alcohol to break down the delicate plant cells that hold the healing extracts and is a vital part of the tincturing process. If we neglect this part of the process we’ll produce a weaker arthritis tincture, so be sure to give it a good old shake every day. Once the 10 days are up you can remove the lid and strain the mixture through a muslin bag. Personally, I don’t think it matters if you pour the top layer of liquid off of the tincture first or not? Some people say it is better but I doubt it makes any difference once it’s all in the same container. 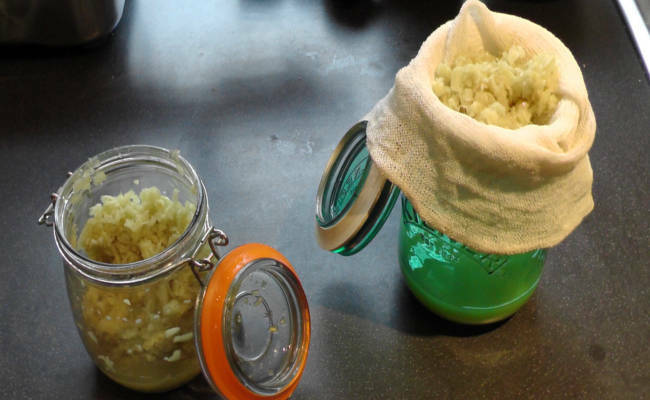 Garlic tincture is fairly easy to strain because the garlic stays pretty much solid. Some substances like pine pollen powders can get a bit gloopy because they’re made from a powder. This arthritis tincture doesn’t get thick like that, so I tend to just tip the contents into a muslin bag and strain it into a dark glass container. You might want to use a funnel to keep things in place and remember to give the bag a good squeeze once the juice has stopped flowing. You might want to wear rubber gloves when squeezing the garlic mixture out. It is very strong smelling, even after being soaked in the alcohol. Once you have your master tincture prepared you may divide the liquid how you like. I keep some in the main master tincture and fill some smaller dropper bottles for taking with me. This way I don’t have to keep opening the master tincture and letting air into the jar. This allows the arthritis tincture to keep for longer, and the smaller bottles allow you to dispense the tincture with ease. There are two main ways to take this tincture. The first is the way the monks took theirs, and the least offensive way. Put three drops in a glass of water. I’m sure the original inventors of this method knew better than I do, so I usually do this too. Administer the arthritis tincture three times a day for best results. If you’re feeling brave you can put a squirt of tincture under your tongue and leave it in your mouth to dissolve. Sometimes I prefer this method because we don’t always need a drink of water and we can forget to take our arthritis tincture. Taking anything three times a day isn’t easy, especially when have other supplements to take. This method is good for those times when you’re juggling with pill taking and struggle to fit it all in. Please beware this method can burn your mouth so don’t leave the mixture in too long and if your unsure dilute the mixture first. Wash your mouth with water and swallow it after to clean your mouth. This helps clear the smell and ensures you don’t burn the delicate membranes of your mouth. Dissolving this powerful tincture in your mouth transports it straight into the glandular centres around your neck and throat. 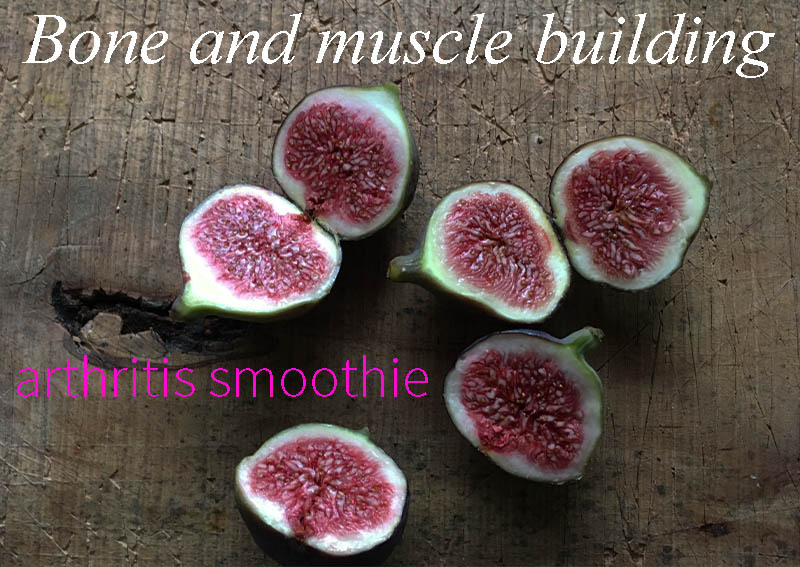 Allowing the medicine to get straight to work in the areas where arthritis patients often suffer inflammation. The neck carries high concentrations of immune cells, and can be the first place we see swelling if we have a cold or infection. It hits the spot and gets straight to the point of brain fog. The brain! 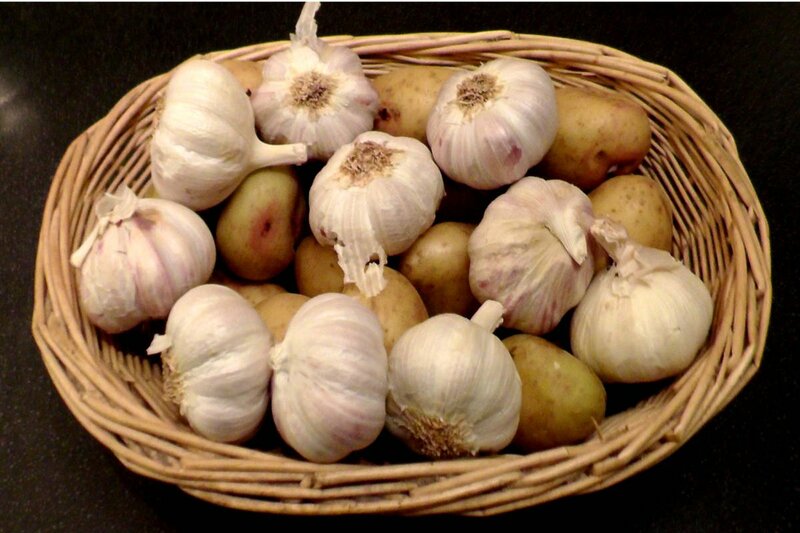 Cancer and inflammation killing compounds have been proven to cross the blood brain barrier and garlic has those in abundance. Luckily for me, I don’t get brain fog now. The tests I have done so far do seem to suggest that this stuff gives me clarity and improves my concentration. Maybe that’s just psychological? Whatever, I’m wiling to accept every ounce of help I can get. If that means putting my love and belief into a treatment for it to work then I’m all in! Garlic tinctures don’t taste great, but they do give your mouth a tingle that reinforces the belief that something is happening. I like the feeling, and in time you might come to like it too. This arthritis tincture tastes warm like garlic/onion water. You can’t taste the alcohol in the dilute mixture but you can taste garlic and others will smell it on your breath for a time. I like the taste and fresh feeling it gives my mouth. Which other alcohol can I use to make a garlic tincture? Being teetotal, I don’t drink alcohol and have no prefeerence over the solvent used. Vodka is cheap and that’s the only reason I use it. If you like brandy, conac, or something, and don’t mind the cost, it’s perfectly fine to use that. It won’t make a difference as long as it’s of decent quality and around 40%. To me the taste is ok. It must be because many times I am found swishing a tincture around in my mouth before I swallow it. Keeping the liquid under your tongue for 20 seconds is enough time for the medicine to work. 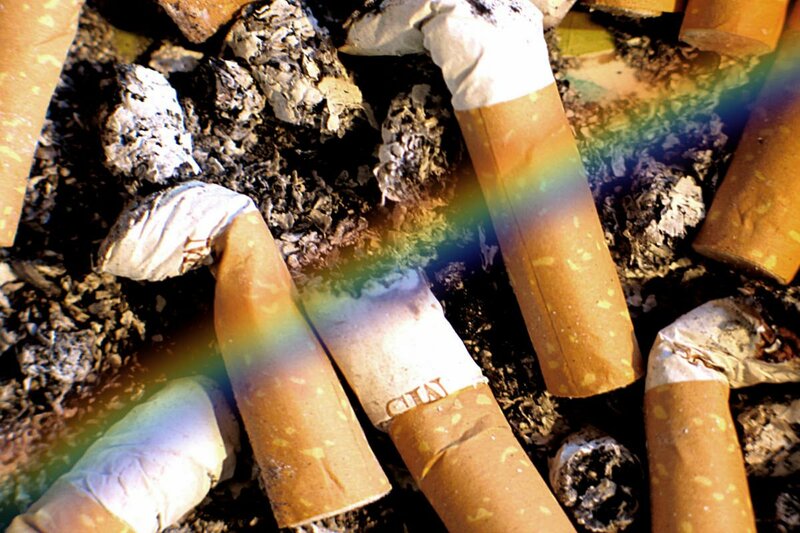 The trick is to try this out and see if it suits you, and remember not to burn your mouth. Tincturing is a safe and easy method of boosting health and vitality. These portable, fun and engaging little bottles of health are discreet, always available, and work in an instant. There is plenty of evidence that tinctures work and you can actually feel a noticeable effect when you take them. Evidence and direct results work for me no matter what anyone else says. The real beauty of these things is that they are inexpensive and you can put your love into making them at home. The ancient monks were well aware of this and blessed their tinctures with positive energy. I follow their good example and bless all my tinctures. It costs nothing to be nice. Tinctures are safe, clean, easy to make and almost free. Making any arthritis tincture is kinda addictive, so is rediscovering the ancient knowledge that first created them. Tinctures of all sorts were the very first way of extracting the goodness out of a plant and making it easy to use. Tinctures can also be bought online if don’t like the thought of making them yourself. Not everyone is adventurous, but no one has to miss out on the supportive healing power of tinctures. If you make them and don’t like them you have lost nothing. That is what this journey into health should be all about, Learning, growing and doing stuff that’s free! If you don’t already own a stack of mason jars, prepare to make some room in your kitchen. You have been warned, making is addictive. Did I forget to mention that garlic arthritis tincture doesn’t give you bad body odour if you take it in water? the information coming. I like it! Alcohol is a rather broad term. Which kind of alcohol is indicated? Tincturing is a complicated business when you get down to the mixtures and ratios but for this 40% Alcohol of your choice will do the job just great.